The specified module could not be found is an irritating error associated with USB flash drives. It prevents you from accessing any of your files. It usually pops up when you try to plug in your USB drive to your PC or when you have just started your PC and the USB device was already connected to it. This error also specifies the location name of the flash drive, when the “The specified module could not be found” error message shows up in a dialog box. The most dangerous among the stated causes is the Malware or Virus attack. A virus or malware breach can open all the security gates and directly reach all the files on your computer. Malware can seriously damage your privacy and corrupt all your important data, causing multiple errors and failures. There are various ways by which you can solve this issue. The first thing to do would be to find out if the issue is with the PC or the USB flash drive. For this, you can test out the USB flash drive on another PC. If it problem is with Pen Drive, you can just Let’s find out some solutions to this issue which has been causing various problems to so many users. A lot of times, the USB error, Specified module is not found occurs because there are certain attributes in your flash drive that are modified. These are a few steps on how you can alter them. Open This PC and find your USB Flash Drive. Right click on it and select Copy from the right-click menu. Now we have to paste the contents on your hard drive. Go to your hard drive (create a new folder if desired) right click on it and select Paste. Step 1: Press and hold the Shift key on your keyboard and right click in the folder with USB Flash drive contents. 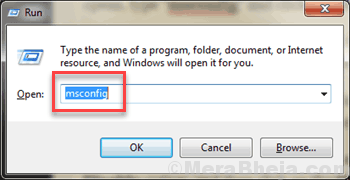 Choose Open Command window here from the right-click menu. Note: Copy the command very cautiously. A slight difference in the letters or special characters can cause more trouble. After running the command, close Command Prompt. Step 3: Open This PC, right click on your flash drive and select Format from the menu. 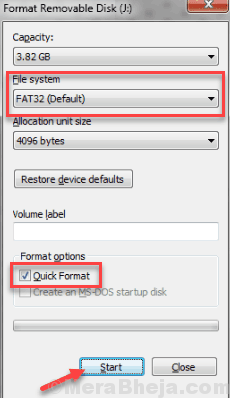 Select Fat32 (Default) as File System and Quick Format as Format Option from the menu and click on Start. Wait while Windows formats your flash drive. Once your drive is formatted you would not get the Specified module is not found error, and you must be able to access your flash drive too. If this did not work, try the next method. Step 1: Firstly, press Windows + R keys together to open the Run box. In the Run box that opens, type “msconfig” and click on OK. 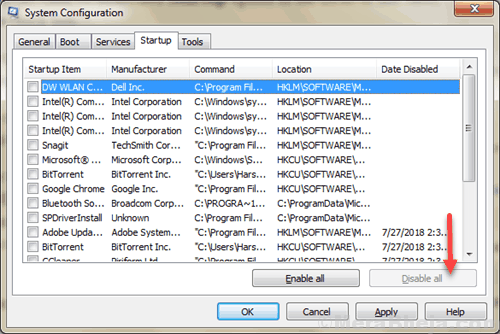 Step 2: In the new window that opens, click on Selective Startup option in the General tab. Also, deselect the Load startup items check box. Step 3: Now, go to the Services tab. Here, at the bottom of the window, you will find a checkbox for Hide all Microsoft services, select that. Then, click on the Disable All option. Step 4: Click on the Startup tab now, and right-click on each enabled start-up item and select Disable option, and then click on the Ok button. When done, restart your PC. After the Restart, see if you are still getting the USB error “Specified module could not be found“. If your USB device did not show any error, it means, the issue was with some of the startup programs. You will need to figure out if any suspicious program is messing up with the USB. If you want, you can keep the startup programs disabled and keep using PC in clean boot mode. Step 1: Reopen the System Configuration window as you did above. Go to the General tab, and there select Normal startup option. 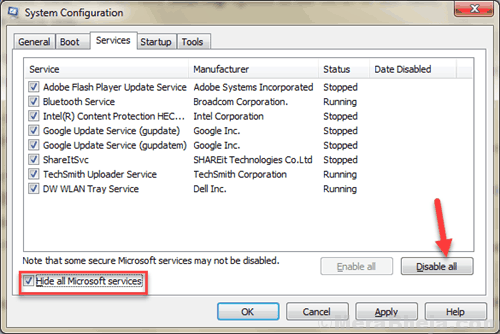 Step 2: Go to the Services tab and clear the Hide all Microsoft services check box. After that, click on ‘Enable All’ option. 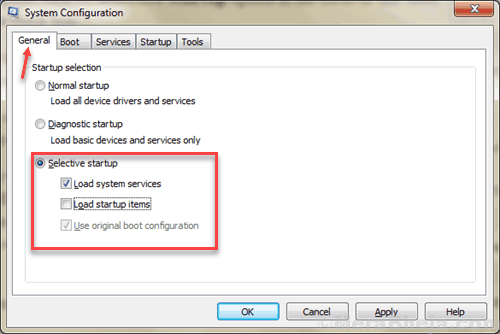 Step 3: Again, click on the Startup tab and then, Enable all your startup programs by selecting them. Then, click Ok to apply the settings. When done, Restart your PC. Note: Do not forget to ‘Disable All’ in troubleshooting and ‘Enable All’ during restoration, or you will end up losing some really important OS functions. To solve the Specified module could not be found error, you will have to identify the program that has been causing the error. Most of the times, it can be found in the Error box itself, which should say something like, “There was a problem starting C:/ ** the name of the file will be mentioned here** The specified module could not be found“. Step 2: The File Explorer Options will appear in the search result. Click on it to open. Step 3: In the File Explorer Options window that will open, go to the View tab. Here, you will find Hidden files and folders option, expand it and select the Show hidden files and folders option. 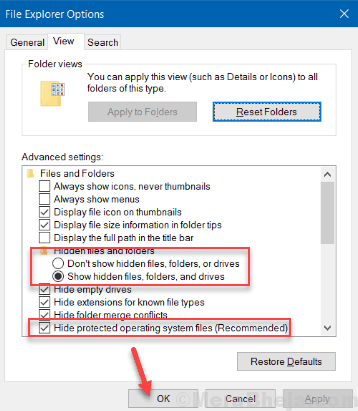 Step 4: Then find and untick Hide protected operating system file (recommended) option. Now, click on Ok to apply settings. Open Start menu and click on the arrow next to the Shutdown option and click Restart. Before the window logo appears during the boot, keep pressing the F8 key on your keyboard until your PC restarts. It will take you to the Advanced Boot Options; with the help of the arrow keys, scroll down to reach Safe mode with Networking option, then press the Enter key. Now log in to your PC with an administrator account. 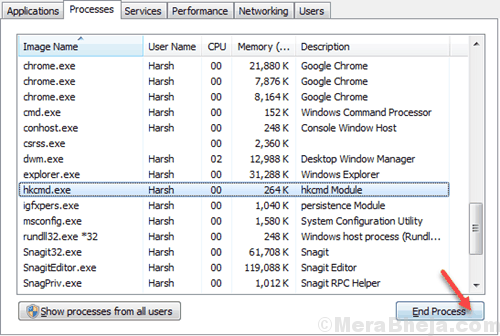 Step 6: When you enter Windows in Safe Mode, press Ctrl+Shift+Esc buttons together to open the Windows Task Manager. Here, go to the Process tab. Step 7: In the list of Processes, you will find various process entries (the entries would be of the name we had found with the error, as discussed at the beginning of this method) that are related to ‘The specified module could not be found’ error, click on those and press End task. Step 5: This is the final step of this process which involves high modifications in the Windows registry. It is possible that you press some wrong key during the process, so it is better to have a backup of the Windows Registry. To get to any of the above Registry keys, browse from the left panel of the Registry Editor window. 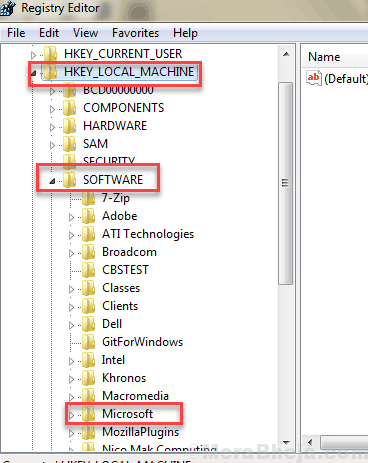 For example, for the first registry key, first open the HKEY_LOCAL_MACHINE directory from the left panel, then, from this directory, open Software directory, and so on. 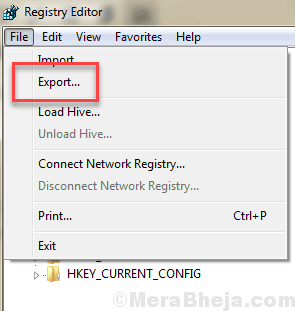 After deleting the above 4 Registry entries, restart your PC. Check if the error still appears. If yes, try this next method. Step 1: Go to the search bar and type Troubleshooting and press Enter. 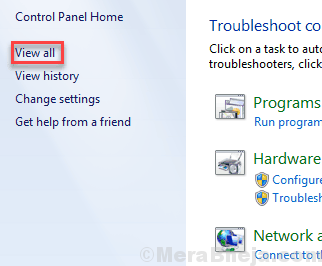 Step 2: On the top left corner of the Troubleshooter window that opens, you will find a View All option; click on that. 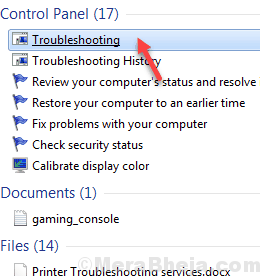 Step 3: You will see a screen with all the troubleshooting options that come built-in with your computer. 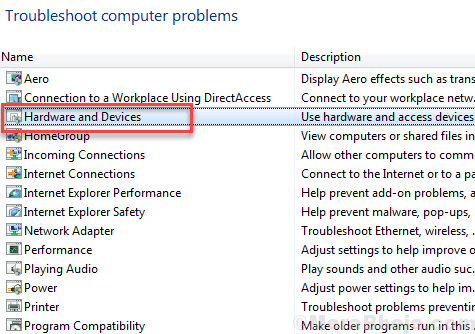 Click on the Hardware and devices option from the list and run the troubleshooter. Once you finish executing all these steps, I hope you will now be able to access your USB drive. One of the major reasons for this USB error to constantly pop up on your screen is because your USB Flash Drive might be infected with some sort of virus. So, it would be a great idea to perform a virus scan of your flash drive with an Antivirus software that you use. Make sure you also scan your USB flash drive for Malware as well. In case you do not have an Antivirus or an Antimalware installed on your PC, download one of the best Antivirus Software for Windows 10 and carry out the scan. Some of the best functioning Antiviruses at present are BitDefender, Kaspersky, Hitman Pro, etc. All of these have the advanced versions which include malware scanning as well and promises to clean your USB drive in seconds. Once you have performed a virus scan, remove virus/malware if found. You may also want to scan your entire PC for Virus and Malware. After the scan, restart your PC, then, see if the same Specified module could not be found error pops up. Note: The trial or cracked versions of Antiviruses might not have the advanced level of cleaning which includes Malware cleaning. So, consider performing a scan with a legit Antivirus. Step 1: At first, Press the Windows Key + X together on the Keyboard, or simply Right Click on the Start Button. Step 2: Now click on Command prompt (Admin) from the menu. (You can also select PowerShell Admin present in the menu). 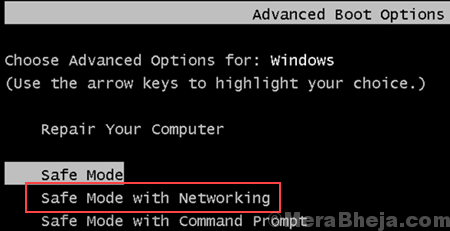 Step 3: Once the command prompt opens, type the following command, then press Enter. Once you press enter, the scan will start automatically and will at least take a minimum of fifteen minutes. Kindly don’t interfere or press any key during the scan. Now, check if you can access your USB Drive, if yes, then your problem is solved! If not, try the next method. these are some of the most effective solutions to USB error The specified module could not be found. It might work differently for different PCs depending on the cause of the problem. Sometimes, the error appears and you tend to close the box and continue working but this doesn’t mean that your computer is safe. A malware can keep functioning in the background and launches itself every time you log on to the computer and makes the error message box pop up, alerting there is a problem with your drive. A lot of users prefer replacing the problematic files but if the virus persists it can further crash your windows. So it is always better to run an advanced virus scan through your antivirus. Let us know which of these three methods worked the best for you in the comment section below. We would also like to hear if there was any other method which you followed and it could solve this The specified module could not be found error.